Boost Mobile is an award-winning mobile carrier in the U.S that offers consumer-centered plans, such as unlimited plans with no annual service contracts. One of their recent marketing campaigns utilized an HTML5 game to reach and engage with more potential consumers. Games built using HTML5 technology are cost-effective and can be played almost everywhere. No need to download or install anything to enjoy the game. Boost Mobile’s HTML5 game is called 3 Card Monte. Players had to input their details before they could play and this helped Boost Mobile to gain leads for potential customers. 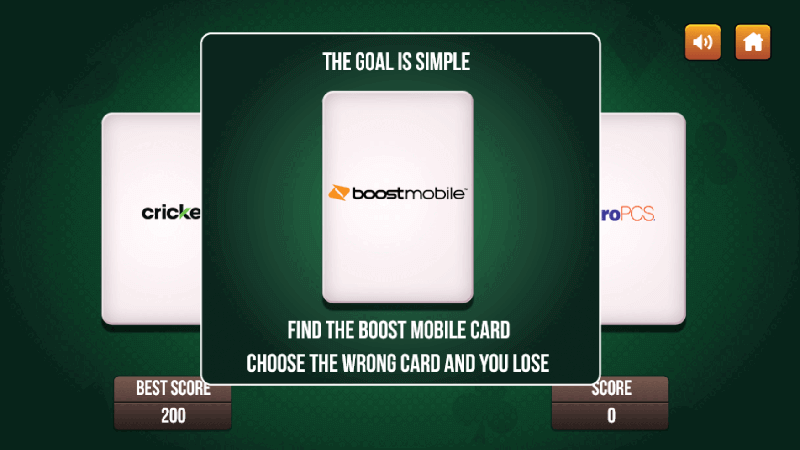 The gameplay involves three cards, one of which has the Boost Mobile logo. The cards are shown to the player, placed face down, then shuffled. Player then needs to find the Boost Mobile card, and gets a point with each correct guess. If player picks the wrong card, it is game over. To know more about this campaign and how HTML5 games helped marketing campaigns, check out this case study!